Food Storage | A blog about dried foods and food storage details! A blog about dried foods and food storage details! We have all heard, seen or even experienced emergencies. If we had a way to keep them at bay, then maybe we could save ourselves a lot of pain, loss and expenditure. History has more than enough information to provide on natural disasters, which are one of the most common sources of emergencies. Have you ever thought about what would happen to your family if a major earthquake, tornado, or hurricane occurred where you live? Well, let’s hope that it never happens. However, it is only best to be prepared for perilous times. This is precisely where Legacy Food Storage Company comes in. One of the most important things you will need for survival during such a catastrophe is food. If the roads get damaged and you cannot make it to the mall, will you sit back and watch your family starve? What if aid from the government never gets to where you are? Access to the web is impossible so that you cannot order on line? Even if you did, how would delivery is made? 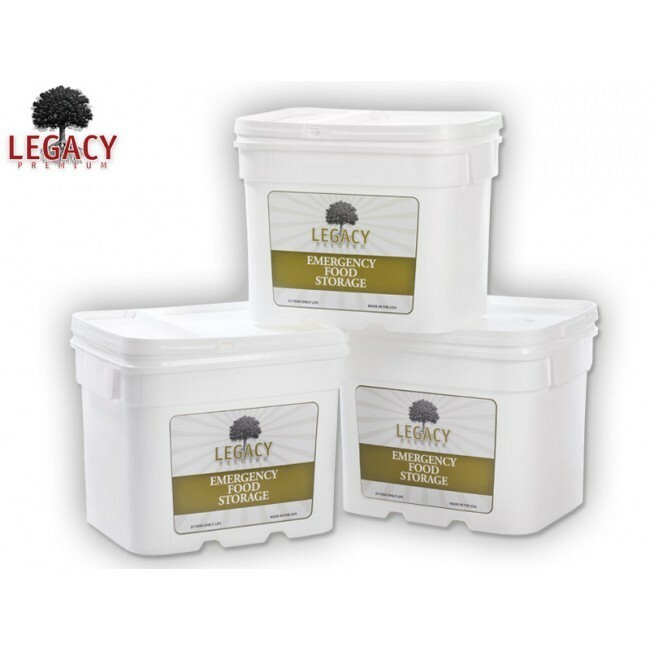 Legacy Food Storage is here to offer you a lasting solution that will leave you at peace, knowing that you can have something to live on in case of an emergency. At Legacy, we have gone out of our way to provide not just something to survive on during an emergency, but a meal that you will enjoy. No compromise- our standard is gourmet. Our partners have expertise and experience, as they are the ones behind such great products like “Sawyers Premium” and “Bear Creek Soups”. We are not promising what we cannot deliver. For over two decades, we have left behind a trail of grateful, happy, satisfied customers. We will provide a great variety ranging from freeze-dried foods, entrees, meats, drinks, soups, to deep-fried ones as well. Better still, the meals are extremely easy to prepare. There are clear, and simple instructions to follow. Sometimes all you need is a little boiled water, depending on the meal you are dealing with. Safety has been core throughout the years. We package our meals in bags made of Mylar, which helps in oxygen absorption. Food can go for even 25 years without oxygen. To top it up, we douse the Mylar with nitrogen. The package is very light, around 40 pounds, and you can grab a few as you take shelter or run to safety during an emergency. When we say that our food is Gmo-free, it is proven. We have had all our ingredients tested, and certified too. We care about your nutrition, especially during such a difficult time. Our highly qualified chefs take their time to ensure that the nutrients are well balanced, so that you don’t miss out on any essentials. If an emergency never occurs, why don’t you carry the Legacy Food Storage package with you the next time you go hiking, mountain climbing, or during any other outdoor activity? Maybe you could even opt for a change at dinner. 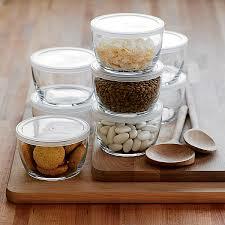 This is a method of storing food that you can easily employ in your home. Actually you can store any food that is highly perishable in your freezer for a long period of time. For instance you may buy a lot of foods such as meat, milk products and fruits in plenty in a certain period of time .Instead of letting the food to go to a waste you can easily store it in your freezer where you will use it in any time where you may like your family to enjoy it. This is another method of storing food that you can employ in storing foods such as beets, beans, onions, pickled cucumbers and jellies .Sometimes during seasons such as winter food supply can be low. Through canning you will be able to store a lot of food that you can use during seasons when food supply is low. This can really save you the money that you will have budgeted for food. This is the simplest method that you can easily use to store food in your home. It is easily applicable in places where there is a lot of heat from the sun experienced .The method is very cheap as it utilizes energy from the sun. The method can be used to store food staffs such as meat, fruits and vegetable among other methods .The method can really save you money because it does not involves buying storage equipments for you to achieve in storing the food. Food that is stored through drying can stay for an extended period of time due to the fact that drying removes all the moisture from the foods which can lead to development of bacteria which can lead to food spoilage. This is a short term food storage method that you can employ in your home. In sealing for you to achieve in storing the food you should ensure you seal the food in an airtight bag. Some of the foods that you can store through sealing involve foods such as fruits, bread, meats, vegetables and many other foods that you may like to store in your home. Some of the reasons that can lead you to storing food include reasons such as production of food in plenty in a given period of time or cases where you will like to eat the food later. If you are looking for additional details, learn more on food storage here. Dried food is basically food that has been preserved by removal of water within that causes bacteria which infects the food. Food can also be dried so that it can last for a longer duration while still preserving its nutrients and protection from any unwanted infection. There are various types of foods that can be dried such as eggs, maize, meat or even coffee beans. 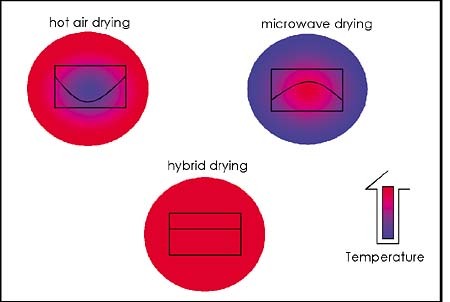 There are also various types of drying process such as dehydration, freeze drying, oven drying or the basic sun drying. Using this process of preservation, food can be preserved for a very long time and still preserve taste or nutrition. The food also takes less space for storage. Dehydration– This is the process whereby food will be dried by the removal of the water. There are two types of vacuum drying process; in air or in vacuum. In air process will use air or other gas medium to remove the water vapor or moisture in the food. There will be higher or elevated temperatures for better drying of the food. Vacuum process on the other hand is where a vacuum will be used to evaporate the water moisture from the food without any use of air. This process is mainly important when also aiming at preserving organisms rather than destroying them. Vaporization of the water from the food will involve heat input into the food to fight the latent heat of vaporization. Heat will be supplied to the food first by convection, then by conduction to ensure all water is dried. Probic bacteria will be one of the products to be dried. Some of the foods that will be dried using this process are such as beans, maize, or even fruits. Freeze drying– This is one of the best methods of water removal, together with vacuum drying process. It is the process that combines freezing and drying of the food to cause sublimation. The food will be fully frozen then put in a vacuum chamber at low air pressure. The ice crystals will change directly into vapor bypassing the liquid stage. The final products can then be packaged and stored without refrigeration. This process is mainly done for fruits and vegetables. The freeze-dried products should be packaged carefully. Oven Drying: This is a process where you simply use an oven to dry your food and you therefore do not have to depend on the weather. Ensure that the oven maintains a temperature of 140 degrees to 150 degrees Fahrenheit before placing your food for the drying process. Air is circulated over the food which increases drying efficiency and reduces heat-loss. Sun/Solar drying: This is the basic method whereby you use the sun’s temperature to dry the food. You will simply spread the food to a surface on the ground and simply let it dry in the sun. – Dried food will preserve its nutrients and last for a longer duration than any other type of food. – The food will also be lighter in weight than other normal types of food for better storage. – There is no wastage of food and it cannot easily be destroyed. – In dehydration process, the food can lose some of the delicacy or nutritional value. – For freeze drying, the foods become bulkier than dehydrated ones. For any food to become dried food, it is important to know the best or most efficient processes of drying the food for preservation. Dehydrating or drying food is a way of preserving food that involves the removal of sufficient moisture from the food so that yeast, molds and bacteria cannot grow. In order to dry food successfully, you require low humidity, a source of low heat, and air circulation. Dehydrators produce top quality products as compared to other ways of drying food. A good number of food dehydrators have a fan, vents and an electric element to provide heat. High quality dehydrators have been designed to retain food quality by drying foods uniformly. You can also dry foods using ovens, the sun, air and microwave. Drying food in an oven takes twice the time it takes to dry food in a dehydrator. When it comes to efficiency, a dehydrator is more efficient compared to the oven since it uses less energy. Involves constant exposure of the food to direct sunlight. The humidity has to be less than twenty percent. It takes 3 to 4 days to dry foods using sunlight. This method differs from sun drying because it happens indoors in a well ventilated room, screened in porch or attic. Most of the times, mushrooms, hot peppers and herbs are air dried. They are always enclosed in paper bags to keep them away from dust. Involves drying leaf vegetables and small quantities of herbs. This method is not successful like the other methods mentioned above. Now that the methods of drying foods have been discussed above, below are some of the benefits of drying foods. To begin with, one of the main benefits of drying your own food is that you are sure that there are no chemical preservatives that are most of the times added to commercially dried foods. It is important to ensure dried food has no kind of chemical additive. Meat products and some dried foods contain sulphur that is added to retain color. Secondly, drying your own food reduces food costs. All you need to do is to buy your foods when the market prices are low and then dry them at your own time fir future use. Thirdly drying your own food has health benefits. Most of the times food is dried when raw, meaning it still has vitamins, minerals and enzymes. No damage has been done by heating. Another benefit of dried food is convenience. When you have dried your own food, you can still be able to cook during emergencies such as floods. 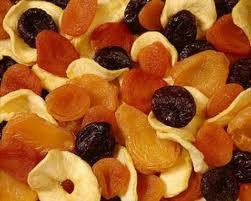 Dried foods also become very handy for those who like hiking or camping regularly. They are easy to store and carry. For real convenience, dry your own food. It not only tastes great but its also good for you. Last but not least, dried food also has benefits to sellers. It has a longer shelf life, meaning that it wont go bad anytime soon, it is easy to store and to carry around during transportation. As we can see, drying food is an important method of food preservation that has helped many generations.